You have come to the right place for graffiti supplies! Art Primo is the largest distributors of graffiti supplies in North America. 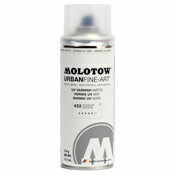 We are your official North American distributors of Belton Molotow spray paint and On The Run products. Orders in before 1 pm PST can be shipped the same day. We distribute to over 200 stores worldwide.